Nine times out of 10, I will say that high-end mascaras are not worth the money. Just give me a drugstore mascara, and I can produce a great lash day. 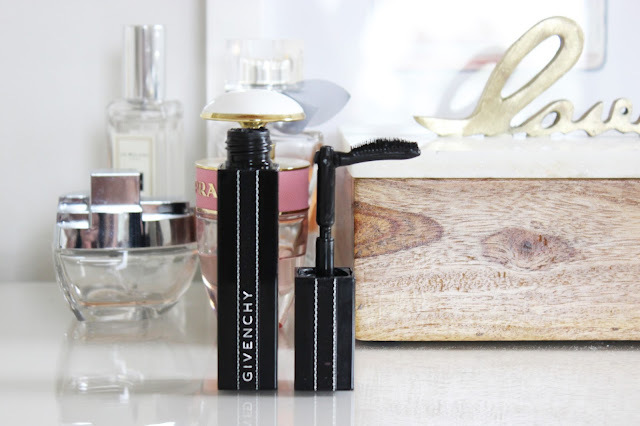 But every now and then, an expensive mascara will fall into my hands--whether it's sent over for PR purposes, in a sample bag or as a present--that I will fall in love with. That's how I feel about the new Givenchy Noir Interdit mascara. It claims to provide extreme length, buildable volume for the result of lash extensions through the revolutionary brush and unique formula. The flexible wand blends to a 90 degree angle, allowing the wand to follow the natural shape of the lashes. The first few times that I used the mascara, I didn't attempt to bend the wand. 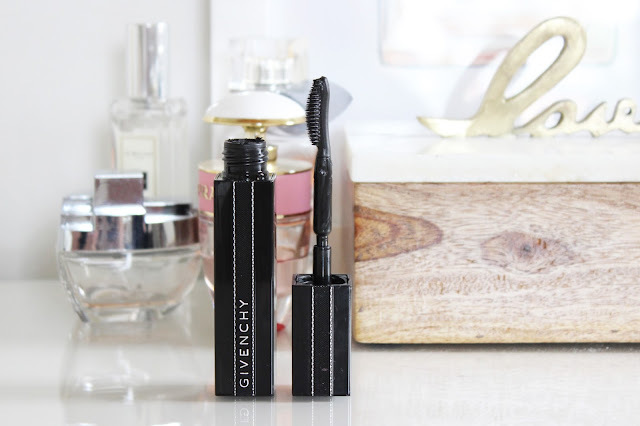 I wanted to try the formula out first before testing the more gimmicky aspect of the mascara. 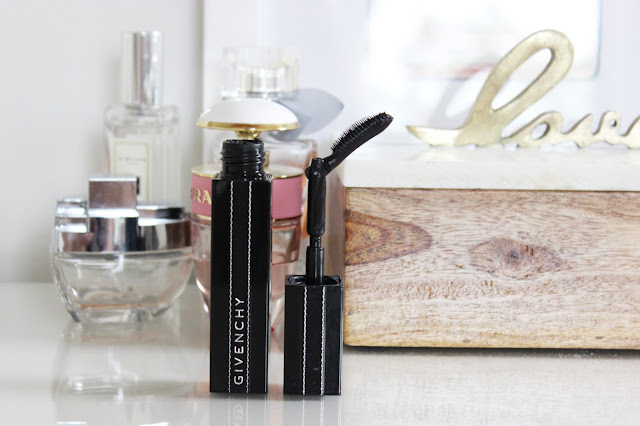 It coats each lash beautifully and is a very true black colour. My lashes look incredibly long and thick after using just one coat of mascara (I do find that a second coat can verge on clumpy if you wait too long before applying it). It lasts all day without smudging or flaking provided you set the eye area with powder. I always powder my face, but I do miss the area under my eyes sometimes (mostly when I'm in a hurry), and the mascara will smudge if it comes in contact with a creamy area. The main drawback to the formula would be the strong scent! If you have sensitive eyes (like myself), then it can be a bit uncomfortable. I really noticed the scent the first few times I used it, but I've grown accustomed to it and it doesn't bother me at this point. I surprisingly like the 90 degree angle of the wand. 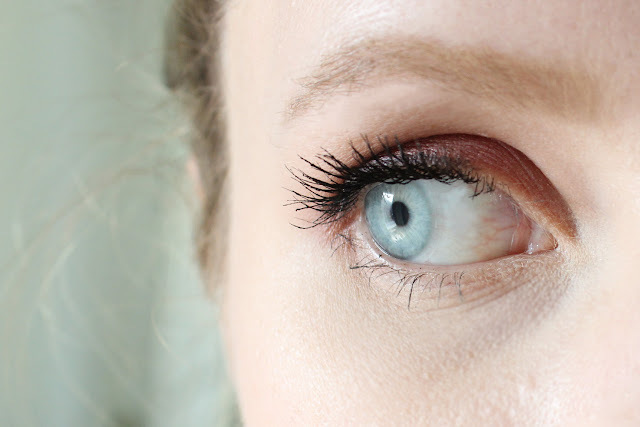 I find it really easy to get right to the roots of the lashes, which is important for my white-blonde lashes. I also find that I'm less likely to smudge on my eyelids when it's on an angle, which is a constant problem for me--I always have Q-tips on hand. I also find the wand makes coating the lower lashes very easy. The wand picks up the perfect amount of product, making the application even easier. Overall, I really like this mascara. 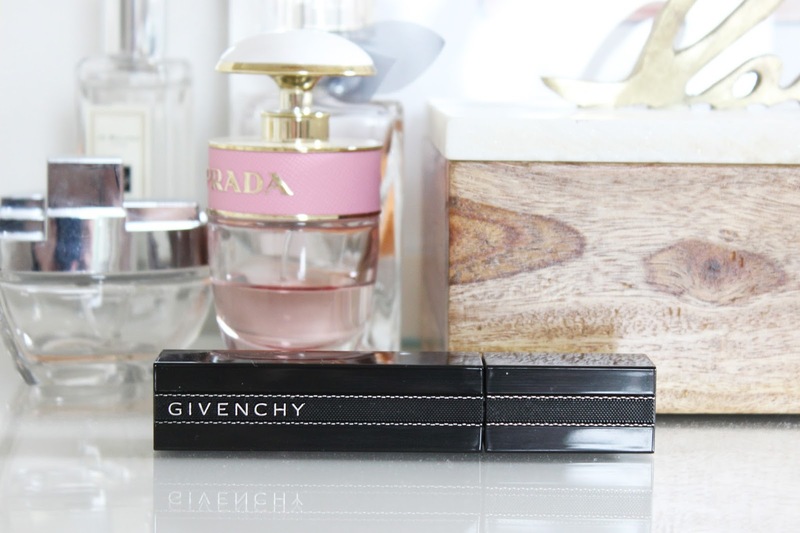 The formula and the wand are a great combination and provide a dramatic but wearable effect. Would I purchase it? As a special treat to myself, yes. I still don't think it's worth the price to spend 30-40$ on a mascara that needs to be thrown out in six months.